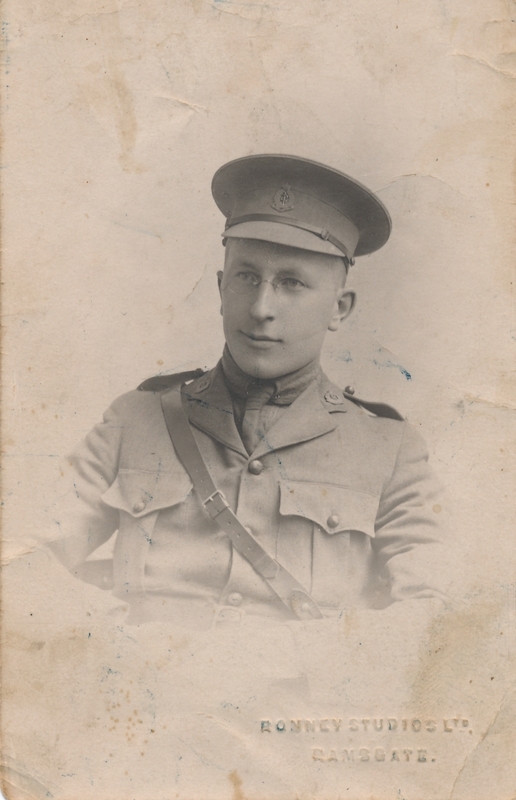 It was 98 years ago this coming Wednesday that Sir Frederick Banting graduated from medical school at the University of Toronto and enlisted in the First World War. Banting had tried to join the army as soon as the war had broken out, but was rejected because of his poor eyesight. He applied twice before was allowed to join the Canadian Army Medical Service (Militia) in September 1915. Interestingly, Banting’s age was recorded incorrectly on his attestation form (the form that recruits had to fill out when they enlisted). Banting’s attestation form can be found in the Soldiers of the First World War: 1914-1918 database on the Library and Archives Canada website. It states that he was 26 years and two months old, even though he would have been about two months shy of his 24th birthday. Banting trained with the militia in the summer of 1916 before heading back to Toronto to finish medical school. Banting’s medical class had been fast-tracked because doctors were needed for the war effort. They graduated in December 1916 instead of in 1917 when they should have finished. After their graduation on December 10th, all of the men in Banting’s class enlisted in the Royal Canadian Medical Corps. Banting was first posted to a Toronto Base Hospital, and then continued his training in New Brunswick. Banting was eventually promoted to the rank of Lieutenant, and then Captain. He sailed for Britain on March 26, 1917. Captain Banting in his uniform during the First World War. This photo was taken in 1918. Overseas, Banting served in France in the rear hospitals as well as the aid stations on the front lines. His training as an orthopedic surgeon would have served him well in this situation. Banting was involved in the Battle of Canal du Nord. The battle had many casualties, and Banting was wounded in the arm by a piece of shrapnel. Even though Banting was told to go and get his wound taken care of, he continued helping the other injured soldiers for 17 hours before he was taken away to be treated. Even without his good arm, Banting would not stop assisting the wounded. This definitely says something about Banting’s character and his drive to help others, which carried over to his medical career after the war. Banting was awarded the Military Cross for his actions, which was a very high honour and was only awarded to 3000 men throughout the war. The Military Cross Banting was awarded for his actions in the Battle of Canal du Nord. After Banting was wounded, he wrote a letter to his mother in Canada telling her about how he was the “luckiest boy in France” because he was being transported back to England so he could be treated. Can you imagine writing a letter like that to your mother, especially after your arm was almost amputated? It probably helped Banting to downplay his injury, but also would have relieved his mom to know that he was out of harm’s way. Banting did what many Canadians did when they were called to serve. He kept trying to get involved with the war effort even after he had been turned away not once, but twice. Although he was late entering the war, he still contributed to the Allied cause and was changed by what he experienced. Banting was able to put his medical training into practice and helped many of the soldiers who were wounded. Banting’s determination and care for others were shown in the military, and those qualities were also evident in his medical work after the war. Posted in Uncategorized.Tagged Military Cross, Sir Frederick Banting.